1D-3D Fancy Broke BARREL HORSE, Doc Bar, Peppy San Badger and Doc's Hickory All on her papers! 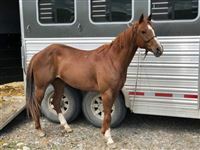 2006 Doc bar bred Registered Quarter Horse Mare. I need to lower numbers so Diva is up for sale but no on sale! She is a seasoned horse that needs a job. 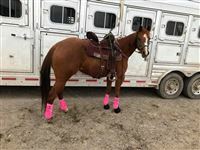 She has been amateur rodeoed on, hauled to open rodeos, move cattle, wrangled off of, rode in the mountains, ponied off of and tracked the hot heels of off. She is not a horse you need to work the pattern on but keep her legged up and go win. Depending on the person will depend on her riding. 1D-3D at big shows and solid 1D at small shows. She excels in small pens. She is as push style as they get, run her in from the back 40 and she will turn, think about turning and she will. I have entered her in arenas with side gates or alleys. Inside or outside arenas she doesn't care. 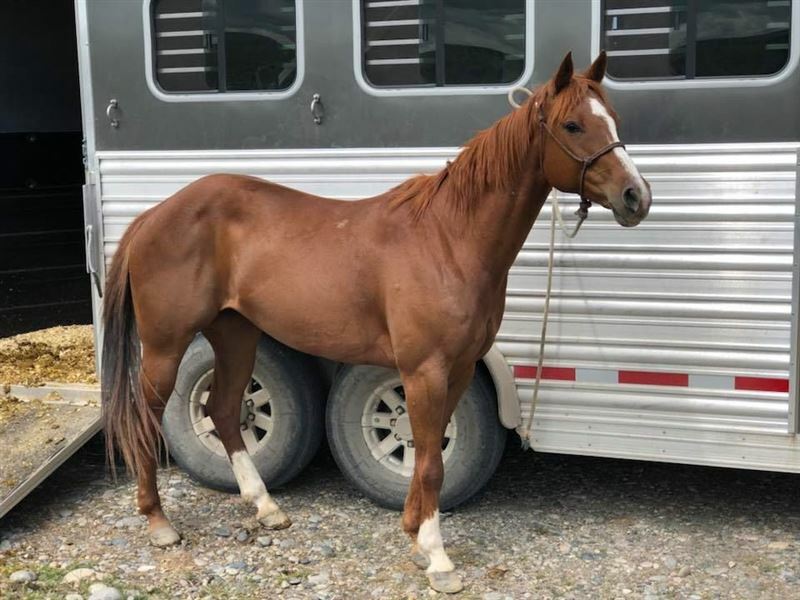 She is broke, broke, broke but she is a mare that knows her job, so I do not recommend her for a brand-new beginner, but a gritty teenager, college level girl or someone wanting to jackpot would love her. She is extremely cowy and flat lays her ears at a cow and will go after it. She is about 14.3 and 1100 pounds, new shoes, current coggins, recently chiro and the only maintenance for the year just done (hocks). She is located in Three Forks, Montana. She is getting legged up and ready to haul get her done before she is in prime shape and her price reflects that! Serious inquiries only, her price reflects a finished barrel horse, no tire kickers.